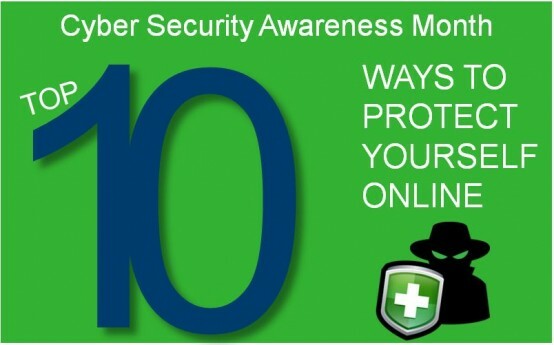 Keep your computers and mobile devices updated – Having the latest security software, web browser and operating system are the best defenses against viruses, malware and other online threats. Turn on automatic updates so you receive the newest fixes as they become available. Set strong passwords with at least eight characters in length and a mix of upper and lowercase letters, numbers and special characters. Use different passwords for every account – It may be easier to remember one password, but if the password and email address you use for one account gets in the hands of the wrong person, they will start trying it on other sites and services. Think before you click – Be vigilant about the links you click in an email, especially when they come from companies. Don’t click on odd Facebook messages with links. If your friend is sending the email, make sure it sounds like the person you know; otherwise his or her account could have been compromised. Watch out for phishing scams that use fraudulent emails and websites to trick users into disclosing private account or login information. Do not click on links or open any attachments or pop-up screens from sources you are not familiar with. Report phishing emails to the Federal Trade Commission (FTC) ‡. Keep personal information personal – Hackers can use social media profiles to figure out your passwords and answer those security questions in the password reset tools. Lock down your privacy settings and avoid posting things like birthdays, addresses, mother’s maiden name, etc. Be wary of requests to connect from people you do not know. Secure your Internet connection – Always protect your home wireless network with a password. When connecting to public Wi-Fi networks, be cautious about what information you are sending over it. Shop securely online – Avoid sending payment information or credit card numbers through email. Make sure all personal information transactions are done on a secure site. When shopping online, only use trusted, secure websites. And before providing any personal or financial information, make sure the address bar changes from an “http” to an “https” address and includes a yellow padlock logo to the right of the Web browser address bar. The “s” stands for “secure,” and if you double-click on the yellow padlock logo, you’ll see a digital certificate for the website. When shopping online, use credit cards, not debit cards. This will minimize the damage in the event of a compromised account. Pay attention – It might seem obvious, but remember to keep your eyes open any time you’re using an Internet service. Be sure to read the rest of our advice on protecting your mobile device and the ways cyber criminals try to steal your information.